We live in a time when the eating of all meat, any meat, is under attack. We are constantly told we must eat less meat, especially less red meat, or should eat no meat at all. We are given many reasons, which are false when it comes to grassfed meat. The attacks on meat never distinguish between the pure, grassfed meat of eaten by our ancestors, and the very different factory meat that eaten by most people. Yet restrictions on eating meat are not new, and go back thousands of years. In most human societies after the advent of agriculture, meat eating and hunting were heavily restricted. Only the ruling classes and some of their servants were able to get enough. Before the founding of the United States of America, this was still true for most of the world, including Europe. While most people think of well known American freedoms like freedom of speech and freedom of religion, most never think of a freedom that is just as traditional and possibly even more important—the right to eat enough good meat. The result was that most Europeans had to survive on a diet consisting mainly of grains, vegetables, seasonal fruits, with some dairy products and some fish. The result was a population so stunted and malnourished that a man of 5 feet 4 inches was considered tall, even into the nineteenth century. Some of these people immigrated to the British, French, and Spanish colonies in North and South America. There were very few nobles and rich people there, especially in the British colonies. But there was a huge supply of wild game, and no one to restrict hunting. The early settlers learned a lot about hunting from the Native Americans, who were expert hunters, and much taller, stronger, and healthier than the first European immigrants. Anyone who wanted to hunt could, and meat immediately became a huge part of the colonial diet. In addition to wild game, pigs and cattle were imported, and quickly thrived on the almost unlimited grazing of the new lands, multiplying in huge numbers. Keeping animals for meat was cheap and easy, and these immigrants were able to eat their fill of good, grassfed and pastured meat for the first time. The Benefits of Good Meat. The research of Dr. Weston A. Price established the fact that people need animal foods, especially animal fats, to thrive and be healthy, and grassfed and pastured meat are perfect animal foods. The benefit of these foods was shown by the history of the United States. The population of the English colonies in North America exploded, as people thrived on the meat-heavy diet. A number of people immigrated to these colonies just because they heard that even poor people could afford meat there. In fact, the diaries of immigrants, even in the early twentieth century, reveal that one of the most important motivations for moving to the Americas was the ability to afford and get good meat. Not only did people live longer, but they were taller, stronger, healthier, and more independent. British visitors to the thirteen colonies were astonished at the height, strength, and health of the Americans, who often towered a foot or more above their English relatives. The genetics were the same, the difference was in the diet, and the Americans ate huge amounts of good, natural meat. A diet that only the wealthy and privileged could enjoy in England. Good meat and fat nourish the brain, and these tall, strong people were very independent minded, would not just do what they were told, and took pride in thinking for themselves and making their own decisions. “Yankee ingenuity” became a byword in Europe. Eventually, these well nourished people founded the United States of America, defeated the greatest military power on earth in a bloody, yet completely successful revolution, and founded one of the best systems of government the world had yet seen. A system that had many flaws, yet allowed more freedom and personal responsibility than any system existing in Europe at the time. These ideas were exported to Europe, and eventually resulted in the freeing of most Europeans, giving them a degree of freedom that they never had before. The right to eat good meat has been a basic American freedom, and it is a right that everyone on earth deserves to have. Switching to grassfed meat, using the grazing practices pioneered by Allan Savory, would greatly increase the supply of good meat and increase the amount of grasslands and water throughout the world. Every few weeks or so, someone publishes a study “proving” that eating red meat does something horrible to us. I consider all these studies to be invalid, especially when it comes to eating grassfed meat. Because none of them, not even one of them, ever considers the immense difference between eating grassfed meat, the natural food of nature, and factory meat, which comes from animals eating an unnatural diet. Factory animals have been made to grow at an unnaturally fast rate by growth hormones, antibiotics, steroids, and other unnatural methods. All studies on the effect of eating red meat which do not differentiate between grassfed meat and factory meat are invalid, as to grassfed meat. The latest study purporting to show that red meat is bad for us has many flaws, and proves nothing. 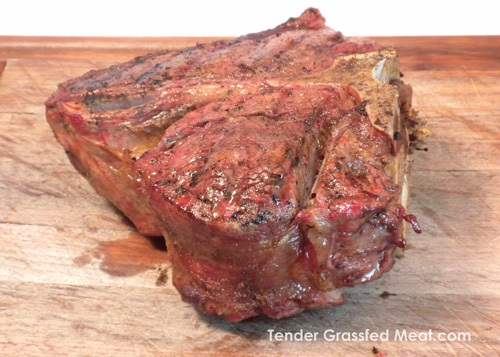 Grassfed Meat is perhaps the oldest food of humankind, and is ideal for our bodies. This is the meat you get from herbivorous animals eating nothing but their natural food, green living grass, though they may need to eat hay, which is dried grass, in the winter. Factory meat is the meat you get from animals who start out on grass, but are finished with a stay in the feedlot, a stay that usually lasts at least 120 days. While in the feedlot, the animals eat no grass and do not graze. They are fed grains like GMO corn and GMO soy. Neither one of these substances are the natural feed of cattle. Other items are often fed to these cattle, including candy bars, restaurant plate waste, bakery waste, the sludge left over from making alcohol and ethanol, and many other substances which are not the natural food of cattle. In addition to the unnatural feed, factory cattle are usually given growth hormones, antibiotics, steroids, and other chemicals which cause them to grow much faster than normal. The difference in diet creates a great difference in the meat. Grassfed meat is rich in omega-3 fatty acids and CLA, but these nutrients are reduced by each day spent in the feedlot. See Health Benefits of Grass-fed Products. The meat of grassfed animals is much less watery than factory meat, and should be cooked differently, as described in my cookbook, Tender Grassfed Meat. Well over 98% of the meat sold in this country is factory meat. Because of these differences, no study that does not differentiate between grassfed meat and factory meat means anything, when it comes to the effect of grassfed meat. It only cover doctors and nurses, not the general public. It asks the participants to remember how much red meat they ate over several four year periods. This is very unreliable. Do you remember each time you ate red meat over the last four years and what the size of the serving was? Of course not. The difference found by this questionable data was insignificant, and means nothing. 2 in 300 of the participants who reported increasing their consumption of red meat got Type 2 Diabetes. 1 in 300 of the participants who reported not increasing their consumption of red meat got Type2 Diabetes. The risk of getting Type 2 Diabetes for those who reported increasing red meat consumption was 2/3rds of one percent. The risk of getting Type 2 Diabetes for those who did not report increasing red meat consumption was 1/3 of one percent. The difference was an increase in risk of 1/3 of one percent. This is the real, absolute risk. By the rules of statistics, this difference is so far within the margin of error that it means nothing. The study did not differentiate between grassfed and factory meat. So contrary to the news headlines, this study does not prove that increasing red meat consumption increases the risk of Type 2 Diabetes. Especially when it comes to grassfed meat. The U.S. Department of Agriculture issued regulations in 2009 that required retailers to disclose the country of origin on the labels of meat products. This gave U.S. consumers some real information about where their meat comes from. It also upset Canada and Mexico. They do not want U.S. meat products labeled with the country of origin. In fact, they filed a complaint with the World Trade Organization, which ruled against the U.S. And where was the U.S. meat packing industry? Right on the side of Canada and Mexico, of course. The big meat packing industry does not want us to know where our meat comes from either. The USDA has proposed new regulations that would provide us with even more information on the labels of meat products. This is a very good thing. But Canada and Mexico are threatening to impose retaliatory tariffs on U.S. products if the new system is used, or the old system is continued. Why do these nations not want us to know if a product contains their meat? Are they not proud of the meat they produce and sell? I contend that we have an absolute right to know what country our meat comes from, and much, much more about it. It is all about freedom. Canada, Mexico, and the U.S. meat packing industry have no right to deny us this information. In 1983, I visited Canada as a tourist. I still remember walking into Safeway as a consumer, and seeing some absolutely beautiful meat. 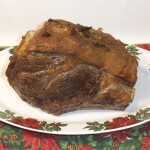 A beautiful prime rib roast caught my eye. It was two ribs, and much smaller than a comparable American roast. I cooked it simply. I was astonished at how good it was, far better than American beef. Tender, with incredible flavor. If meat from Canada had been available at my local store, I would have bought nothing else after this wonderful experience. That is the kind of meat Canada used to produce. Many years later, beef labeled as being from Canada appeared in local stores, and I eagerly bought some. It did not look any different from U.S. beef, but I was excited to get it. I was very disappointed. The meat tasted the same as U.S. factory meat. Canada had adopted the U.S. factory meat model. A great tradition of raising wonderful beef was thrown away for short-term corporate profit. That was a shame. There is no way I will ever eat factory meat again, no matter where it comes from. While there are some wonderful grassfed Canadian ranchers, their meat is not exported to the U.S., as far as I know. I have not had meat that I know comes from Mexico, but I know the history of the Mexican expertise with cattle. Mexican vaqueros were experts in raising great cattle. They founded the huge California cattle industry, one of the most successful in the world when California was part of Spain, and later, Mexico. When the king of Hawaii wanted experts to teach his people how to raise and manage cattle, he hired three vaqueros from Mexico to teach his people, which they did. They shared much knowledge with the Americans who settled the west. I know butchers raised in Mexico who have great knowledge about fine beef, and how to raise it and recognize it. I fear that the meat exported to the U.S. from Mexico follows the U.S. Big Ag factory model, rather than the traditions of Mexico, which is another shame. Iceland, rather than trying to hide the origin of its lamb, proudly proclaims it. Many Americans are willing to pay very high prices for lamb from Iceland, which is grassfed, raised in a traditional manner, and has wonderful taste and tenderness. Rather than trying to hide the origin of meat from U.S. consumers, I contend that Canada and Mexico should raise and export better meat—grassfed meat. Meat raised on the great natural forage of each nation. Meat they can be proud of. In fact, if they adopt and promote the methods of Allan Savory they will preserve and improve their grasslands and water courses, while raising excellent beef. They should give up the American factory model, which produces meat through chemicals, hormones, and unnatural feeds. I challenge them to return to the tradition of their ancestors, and produce real meat that is so good that Americans will flock to buy it. If Canada and Mexico produce meat of that quality, the label will become an advertisement of quality, rather than a handicap. In the meantime, kindly stop interfering with our right to know where our meat comes from! And I want to thank the United States Department of Agriculture for actually protecting our right to know what country our food comes from, and requiring even more labeling information. 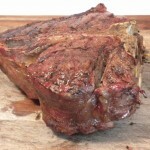 The big bone at the center of this magnificent Porterhouse steak is great to chew on. Chewing on bones is not considered cool. In fact, it is considered to be bad manners in many cultures. Yet one thing has been found in just about every place where Paleolithic people used to live—a big pile of bones, cracked open. In addition to this, every meat eating animal chews on bones. Since animals never do anything without a reason, and know how to get great nutrition from their natural food, I thought there must be something to this. So I put my inhibitions away and did the natural thing. I chewed on the bone of a rare, barbecued, grassfed, Porterhouse steak. Was it good? No. It was great. It was fantastic. It was satisfying. It tasted so good. It made me happy. And, when I was done, I had a huge, wonderful, comfortable feeling of satisfaction, in a way that was new, yet felt so familiar. Meaty bones are full of nutrients. Not only is there the bone itself, full of minerals, there is the meat that is right next to the bone. 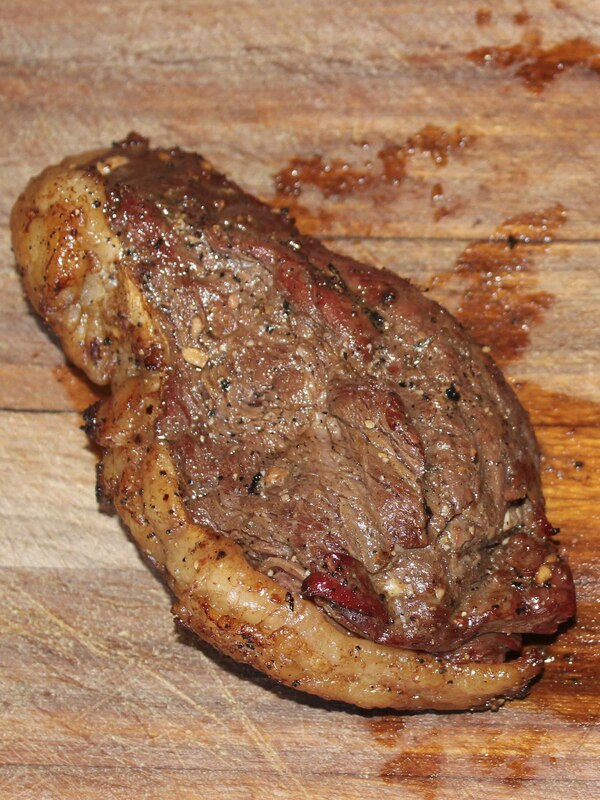 That meat is saturated with nutrients from the bone, and has unbelievable taste, texture, and flavor. There is an old saying, “The nearer the bone, the sweeter the meat.” That saying is true. I tasted it. There is also the fat next to the bone, which is rich, tasty, and so satisfying. The fat from grassfed animals is very nutritious, containing vital nutrients such as the perfect ratio of omega-3 to omega-6 fatty acids, and Conjugated Linoleic Acid (CLA), a known cancer fighter that also promotes muscle growth and burns fat. Both omega-3s and CLA diminish to almost nothing after the typical stay in the feedlot, which is why grassfed meat is by far our best source of them. 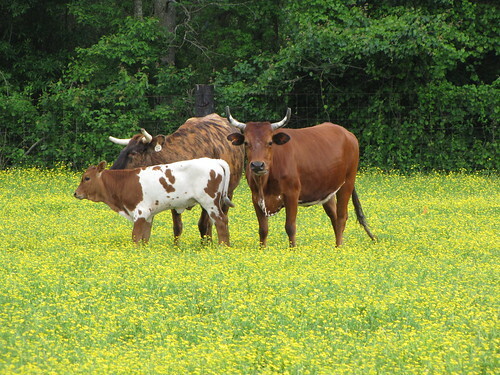 See Health Benefits of Grass-fed Products. And there is the bone marrow. It is almost universally accepted that all those bones found in piles at Paleo sites were cracked open for the bone marrow, one of the most nutritious substances known. When you chew on the bones, your teeth and saliva cause minerals to enter your mouth from the chewing process, and this is the tastiest way I know to get vital minerals. Any way you look at it, the bones of grassfed animals are nutrient-dense, to say the least. Just before I started chewing on the Porterhouse bone, I was wondering if there was a right or wrong way to do it. Not to worry. My mouth and teeth knew exactly what to do. I gently bit off and chewed the delicious morsels of rare meat, white fat, and everything else that would come of the bone. My teeth gently chewed on the bone itself. The taste and satisfaction was so wonderful it is hard to describe. A wonderful feeling of contentment came over me as I chewed on the bone, enjoying the taste and nutrition it gave. The glorious flavor of hot bone marrow permeated the meat and fat, giving it a fantastic, satisfying taste. I chewed slowly, savoring every magnificent morsel. It felt so right, so natural. So familiar. I finally understood why the dogs I used to have were so happy to have a real bone. It took awhile. When I was finally done, I felt healthy, satiated, and utterly satisfied. I also felt very happy. Why is bone chewing considered bad manners? My guess is that the custom was created to stop people from fighting over the bones, since there often would not be enough to go around. Chewing on bones is a good thing, for nutrition, taste, and the sheer pleasure of it. I cannot think of a more Paleo way to eat.